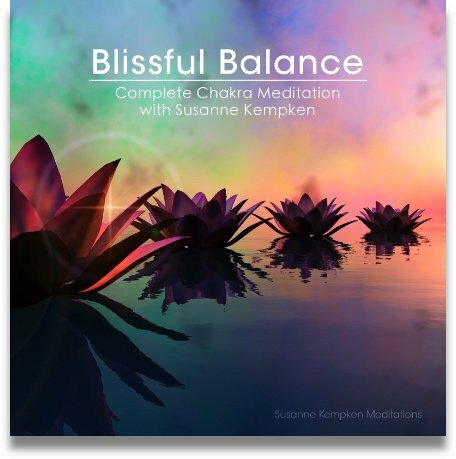 This guided meditation script takes the listener on a soothing mind journey. 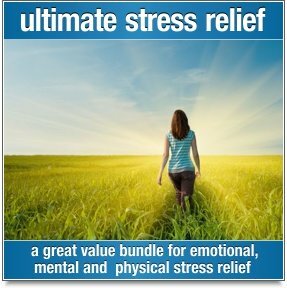 Perfect for general relaxation, and sometimes used as a wind-down visualization after a yoga class. 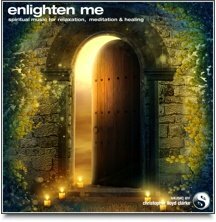 For more free meditation scripts, or to contribute a meditation script of your own, please follow this link to free guided meditation scripts. All right everyone. Lie back on your mat and close your eyes. Stretch out your legs and let your arms fall gently alongside your body, palms up. Take a deep breath through your nose, hold it for just a moment and then exhale deeply. Relax your jaw. And continue the deep breathing – in and out through your nose. Let your mind become aware of your feet. Feel a soft golden glow begin to enter your feet. Let it fill you feet with warmth and relaxation. Let your feet just fall where they naturally want to. Now feel that soft golden light begin to move up into your ankles. Feel your ankles become warm and relaxed. Let the muscles in your ankles relax. And now feel that soft golden glow begin to move up into your calves and shins. Feel your calves as they sink more deeply into the mat beneath you. Let the muscles on top of the shins just relax. Feel them just let go. And now feel that soft golden light move into your knees. Let the warmth fill your knees. Let your kneecaps relax. Feel the back of your knees relax. Feel the muscles around your knees relax. Feel the warmth begin to move up into your thighs. Let the big muscles in your thighs relax. Let the warmth drip down from the tops of your thighs and ooze into the backs of your thighs. Feel the back of your thighs just sinking into the mat beneath you. Now let the warm golden light move into your hip joints. Let your hips relax. Let the muscles in your groin relax. Feel you buttocks as they sink into the mat. Let those muscles relax. And now let the warm golden light fill your abdomen. Feel a ball of golden light filling your abdominal area. Feel the warmth from the ball of light. Take a deep breath into that ball of golden light. And feel it expand. Now let the light move up your spine. Feel it as it bathes each and every one of your vertebrae. Become aware of the slight lift of the small of your back from the floor. Feel the space there. Feel the warm golden light flow up into your chest. With each breath you take, let your lungs be filled with that warm golden light. And now let your mind move to your hands. Feel the warm golden light fill each finger. Feel it fill the palm of each hand. Let the golden light begin to move into your wrists and on up your forearms. Feel those muscles expand with the light. Let your elbows relax. Let the light move into your upper arms and shoulders. Let your shoulder blades relax and ease their way into the mat. Let the light enter your neck. Feel your neck and throat begin to relax. Swallow gently and feel your throat open. Separate your lips slightly and then close them. Let your tongue drop into a relaxed position. Feel the warm golden light as it fills your entire head and face. Let your ears relax. Let your eyes relax. Allow that little space between your eyebrows to relax. Let your forehead relax. Let the top of your head relax. And now that you’re completely relaxed, I invite you to join me on a journey. All around you, you can hear birds calling to one another. Their sounds are gentle and sweet. It is as if they are encouraging you to take a few more steps into their home. The peace in the forest is total. You are aware of small animals around you. You see rabbits and squirrels romping and playing. You can hear the sounds of more birds hidden in the dense canopy of the forest. As you walk on, you begin to hear the sound of running water. You can tell that the water is gentle and you walk in the direction of the sound. As you walk, you can feel the leaves under your feet and the small branches and roots on the ground. It feels good to have your feet touching mother earth. And you let the gentle voice of the water call you on. Shortly, in front of you opens a little clearing in the forest and in the middle of the clearing is a small pool. The pool is being fed from a stream cascading down a small rocky slope. As the pool is filled to overflowing, the water leaves the pool on the other side and continues its journey back into the forest. Here in the clearing, there are some rocks where you can sit. The rocks are warm from the sun as its rays make their way down from the opening in treetops. You walk to the largest of the rocks and take a seat on it. It is as if the rock were just made for you to sit on. It cradles your body and holds you steady. And you just sit here for a few minutes in silence, listening to the sounds of the forest and the water all around you. Your eyes are closed and your heart is full of joy. In a few moments, you begin to sense the gentle presence of another being in front of you. You open your eyes and, standing about 6 feet from you is a beautiful doe, her limpid brown eyes resting on you. She is completely at ease and so are you. For some minutes you sit enthralled by this gentle creature just looking at you as if she loves you. She is so calm and assured in your presence that even her ears are still. And you are so in awe of her presence that your gaze cannot leave hers. It seems that she has brought a message for you and across the space between the two of you she is sending you that message. Somehow you become aware of the message and are ready to receive it from her. Open your heart now and receive her message. Your heart is filled to overflowing with the love you are feeling in her message. She stands there for a few moments longer. Then she gently closes her eyes, opens them again for one last look at you, turns around and slowly walks back into the forest. You sit for a moment longer simply integrating into your being the message she brought you. And then you rise from your spot on the rock, move gently back onto the path and walk slowly and calmly back to the edge of the forest where you first stepped upon the path. With teach step you take, you find yourself coming back into your conscious awareness of the room around you. You begin to notice your surroundings. You feel the floor under your body. You slowly move your hands and feet. And now you have returned to complete consciousness. Your message from the forest has been integrated into your being. And you will take that message with you back into your daily life.